Two leading figures from Scottish public life have contributed messages of support to Remembering Srebrenica. Ruth Davidson MSP, Leader of the Scottish Conservative & Unionist Party and the Rt Rev Angus Morrison, Moderator of the General Assembly of the Church of Scotland have sent powerful messages of solidarity following this year’s commemoration of the 20th anniversary of the Srebrenica genocide. Angus Morrison led the memorial service at St Giles Cathedral, Edinburgh on 10 July and has sent a message of support. Ruth Davidson is a member of Remembering Srebrenica’s Scotland board which organised the service and has provided her message. 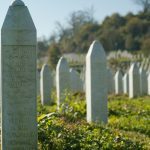 Earlier this year, both met mothers who lost husbands, brothers and sons in the atrocity and listened to their stories as part of a group of high-profile delegates from Scotland visiting Bosnia and Herzegovina in a Lessons from Srebrenica educational visit. 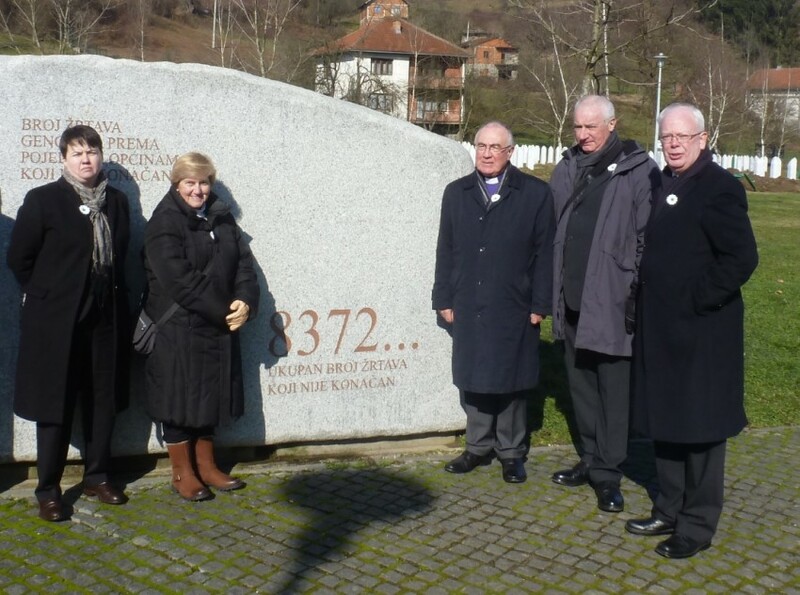 They are pictured above with Remembering Srebrenica Scotland Board chair The Very Rev Dr Lorna Hood (second left) at the Srebrenica-Potočari Memorial Complex during the delegation’s visit in February.